Subscribe to our vitamin auto delivery program and ensure you always have the vitamins you need. We can ship any mix of products to you every 30, 60, 90, or 120 days. When you order at least two bottles of product (mix and match, any combination of products), you receive free shipping too. Log into your account and place or adjust a recurring order yourself. You have complete control to add or remove items, change shipment dates or addresses, and update payment information. For more information about the vitamin auto delivery program, read this article. Our email address is customerservice@coopercomplete.com, and this is the email address order notifications come from. Please add this address to your email’s approved contacts list so you’ll receive emails about your order. An email for upcoming vitamin auto deliveries is sent a week before each shipment to allow time for updating the order if necessary, so it’s important this email does not go into your spam folder. You can also contact us at this email with any questions, concerns or order updates. 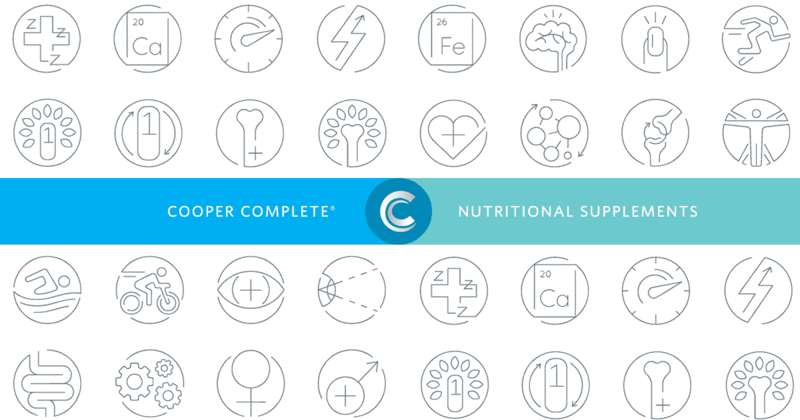 The Cooper Complete website houses dozens of articles discussing vitamins and supplements. Our team of experts is constantly reviewing the latest research and writing new articles for our customers not only about our product line, but also about healthy supplementation in general. You can access these articles by going to the “Health Tips” section on the home page. If you are looking for information pertaining to one of our products specifically, you can go to that product’s page and select the “Related Reading” tab, where you’ll find links to articles and videos that focus on information concerning that supplement and its health benefits. Every Tuesday, relevant and interesting supplement information is shared via the Cooper Aerobics facebook page and Twitter (@CooperAerobics) in a post called the Pill Box. Our first Pillbox post was an exclusive interview with Dr. Kenneth Cooper about his supplement regime. Another way to learn more about our products is to select the “FAQs” tab on each product page. We have posted the answers to a wide variety of questions our team has received about each supplement specifically. For example, if you are curious about what EPA and DHA are in Cooper Complete Advanced Omega-3, or whether or not you should refrigerate the product, go to Advanced Omega-3’s product page and click the FAQ tab to find out. Wondering where you can go to buy your vitamins? In addition to here on our website, our Store Locator tool can help. Cooper Complete products are sold (primarily in Texas) at many retail locations, and especially in the Dallas area. If you are near the Cooper Aerobics campus, The Coop, located inside the Cooper Fitness Center, carries our entire product line and a team of trained associates can answer any product questions.